These aren't just any old pellets. Gamo PBA Platinum Pellets are made of enhanced non-lead alloy to generate velocities up to 30% faster than conventional lead pellets. And they deliver enhanced accuracy and maximum penetration for hunting applications. 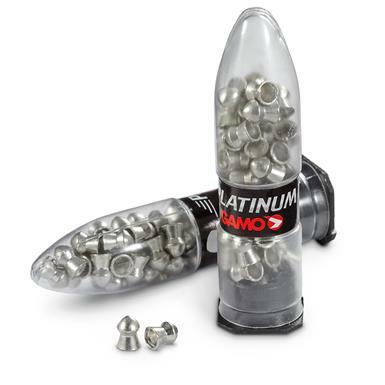 Gamo PBA Platinum Pellets, .177 Caliber, 4.7 Grain, 100 Count is rated 5.0 out of 5 by 3. Rated 5 out of 5 by rick from gamo platinum pellets excellent product !! !